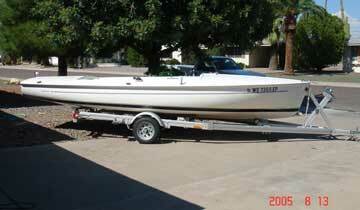 This boat is ready to race and in great condition with trailer included in the price. 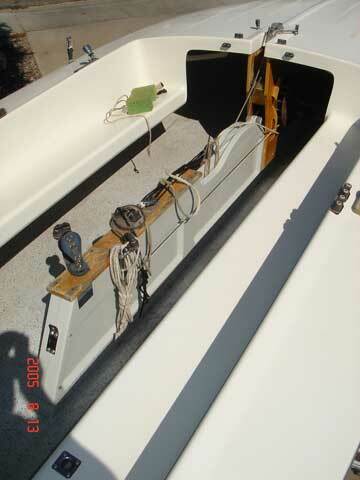 one main sail 1998, one jib 1998 and one spinnaker 1998 sailed for two seasons excellent condition. All aluminum trailer, brand TrailerEX, lights work. Never been in salt water. Sail covers and cockpit cover. 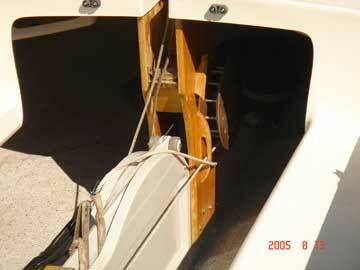 Included is the paddle, spinnaker pole, boom vang, main with jib and spinnaker sheets.